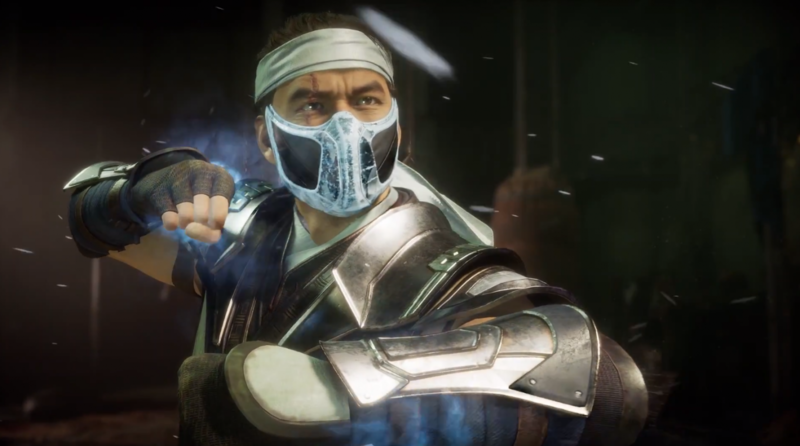 I recently sat down to try out Mortal Kombat 11 at the recent reveal event this past week, and boy was there a lot to take in. Of course, there are plenty of moments of blood and gore to witness — I mean one of the characters literally uses blood as a weapon. But what was more jarring is the beautiful attention to detail in stages and characters alike. And on top of that, there was a whole lot of new content and mechanics to absorb in a short amount of time with the fighter. 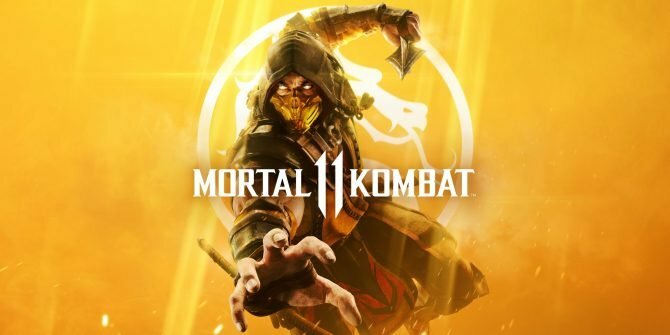 I guess the first question to get out of the way: how is the gameplay in Mortal Kombat 11? 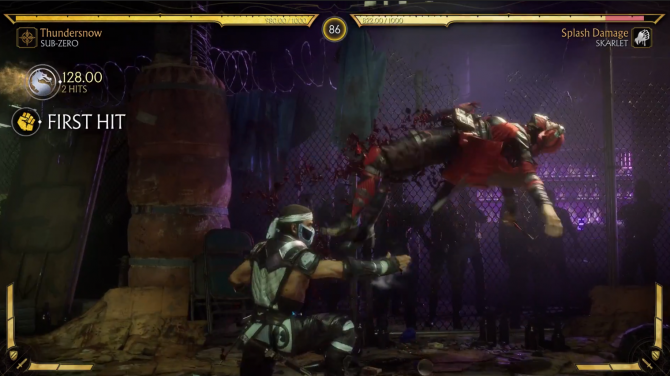 I would say it’s pretty different from Mortal Kombat X and seems to take a little bit from Mortal Kombat 9. And what I mean by that exactly is the movement. You see, in MKX, the movement was very aggressive and quick. You could dash pretty fast, and even dash into block pretty quickly. However, in MK9, the movement was a little more controlled and careful back then. You couldn’t really run and dashes weren’t always the best movement choices. 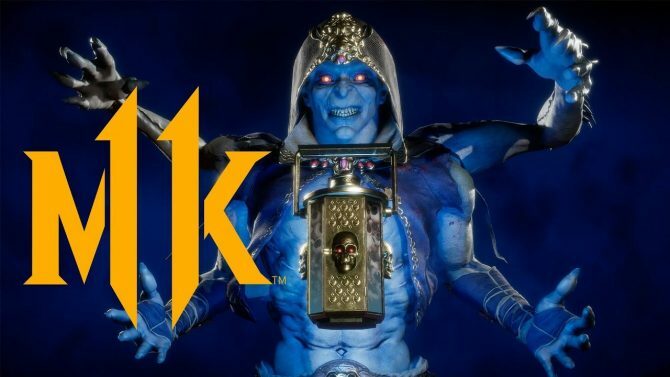 Mortal Kombat 11 seems to be going for a little slower movement. Dashes have a longer recovery time, which makes walking almost as fast as dashing full screen. This doesn’t make dashing useless, however; being close, or in neutral, can make dashes still as effective. This movement choice suits the fighting and combos very well. Players will have to be more careful about every single decision they make in neutral, and players will be rewarded more for countering and zoning opponents rather than rushdown and aggressiveness. The next big change are the two meters: one meter that enhances offense attacks, and one meter that enhances defense attacks. Both meters start up completely full and have a cooldown instead of the meter being built up through combat. Defensive options, such as picking up interactive objects or using enhanced counter moves, will drain your defense meter, while the offensive meter is used on enhanced special attacks and combos. This system didn’t seem too distracting because I would gain meter relatively quickly, but it is something to look out for. Another big change in gameplay are Fatal Blows. Fatal Blows replace X-Ray moves from MKX, basically: when you’re at 30 percent health, a Fatal Blow prompt shows up near your health bar. If you press L2 and R2 at the same time near an open opponent, you get a high-damage move. The move has virtually no start-up time, so this move feels like a great option if you’re looking to close the match. The only downside is you can only use it once per match, so if you waste it on the first round, you’re out of luck in the second or final round. The Fatal Blow mechanic feels especially exciting when both fighters are at 30 percent. It feels more like a stand-off as to who is gonna pop the move first. Also at the time, the only two available modes were Towers of Time and standard local versus. 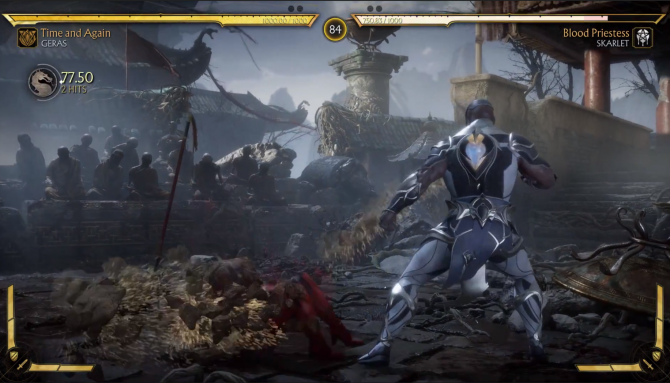 Other options in Mortal Kombat 11 included an online mode and a tournament mode, not to mention the cinematic story mode. The Towers of Time mode is kind of like your standard arcade mode, but with items available to make your konquest a little easier. Items include armor and damage buffs as well as assists from guest characters and weapons. Even if you’re a purist who likes a challenge, I recommend checking these out. I found myself lengthening out combos from using these items more than just using them as a crutch. It’ll be interesting if someone can pull off an insane combo with these items, even though they probably won’t be tournament legal. The most intriguing feature, however, were the timers. It seems as if certain towers are only available for a limited time. Being that the Tower of Time mode is an essential way of gaining items for customizing your character, you want to make sure you play through them in time. Believe me when I say that Mortal Kombat 11 is seeming like one of the best-looking fighting games ever. MK11 went above and beyond with these character designs. Old favorites like Scorpion and Raiden, have unbelievable detail and design, and the rest of the characters across the board look jaw-dropping. From Geras’s sand and lit up eyes to Skarlet’s blood-weapons and dark red clothing, every character feels thought-out and designed with a lot of purpose. What’s even more impressive than the character designs in Mortal Kombat 11 are the customization options. If you’re not a fan of a character’s look completely, you can totally change the character from the ground up. From their weapon of choice and skills to clothing and intros, basically every aspect of a character is customizable. I found myself really enjoying customizing characters, not because I like character creators, but because MK11‘s is just that good. 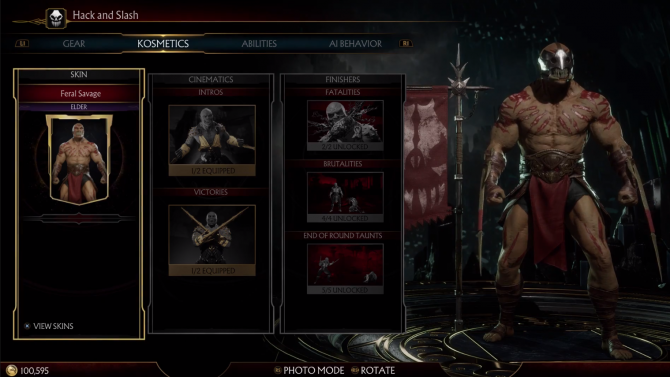 My real problem with character creators is that only one or two options seem actually appealing to me, while the rest seem like throwaways, but it seems like Mortal Kombat 11 has made this feel different. Every modifiable part pops and differs from the previous, while not looking comical in any way. Also, gear can have their gameplay attributes swapped around, so you don’t have to worry about using specific equipment pieces. It’s like NetherRealm learned from Injustice 2 and improved it in every way. This really seems like the first character customizer that looks like its worthwhile, so it’s hard not to recommend this to people. And of course, the gore: the essential component of every Mortal Kombat game. All I can say is, MK11 is really bringing that up a notch. As someone who has past experience with the series, I thought I had seen it all. But when Baraka tore off two layers of Scorpion’s face and ate his brain like corn on the cobb, I knew this game was going above and beyond. Fatalities aren’t even the majority of gory moments either. I found myself getting squeamish seeing just normal Brutalities and Fatal Blows as well. So if you’re someone who is here for all of Mortal Kombat‘s gore and blood, you won’t leave disappointed. And finally, the stages; this was probably the most limited portion of the demo, but probably my favorite to see. Each stage was packed with incredible amounts of detail, and my favorite stage that I played was probably the stage from the reveal trailer, Shang Tsung’s Island Village. I didn’t think it was possible to make the stage look just as good as the CG trailer, but damn were they close. From every detail popping with gorgeous texture and features to incredible lighting and fog effects, I never felt more immersed in a fighting game. And the other two stages were just as carefully crafted as well. The other favorite stage of mine was a dark night club, called Black Dragon’s Fight Klub. You’re basically in this dirty cage inside with a bar behind you: think Vega’s Stage, but R-rated. The purple lighting and casual patrons really made me interested in the lore behind this stage more than anything else. If every stage looks like this, I can’t wait to see what the future stages have in store for us. Mortal Kombat 11 is going to be different, but that difference is really welcoming. The insane amount of content from game modes to customization options will give players hours of Mortal Kombat to enjoy. 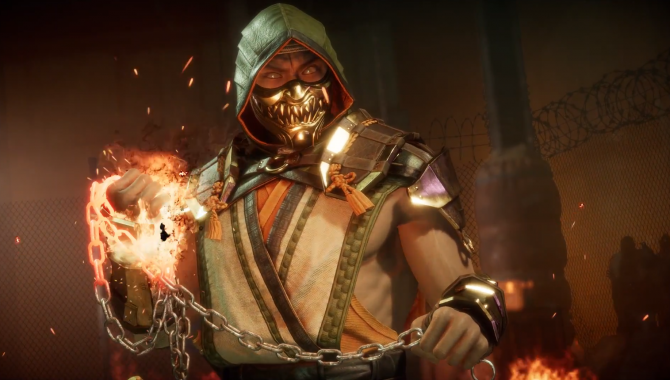 With new features and options for casuals and diehards alike, MK11 seems to be pulling all of the stops to make everyone happy with the fighting game. And by everyone, I mean everyone over the age of 18, probably.